ISME is one of eleven partners in eight countries involved the Hublinked Project, led by the Computer School of Dublin Institute of Technology, and is supported by the Erasmus Knowledge Alliance programme, and Co-funded by the Erasmus+ Programme of the EU. The goal of the project is to strengthen Europe’s software innovation capacity by learning from regions of proven ICT strength and sharing this knowledge with all regions. 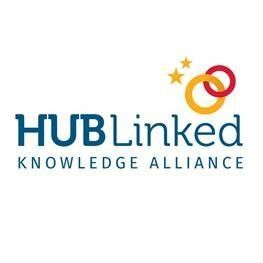 HubLinked aims to (i) improve the effectiveness of University-Industry (U-I) linkages between computer science faculty and all companies (ii) develop global software innovators that can work in any sector (iii) increase the participation of females in the ICT sector and (iv) upskill academic and industry staff to engage in U-I linkages for software innovation. outlined in the project proposal. ISME is delighted to partner in this exciting project and would love to hear from any SME with an interest in participating in, or knowing more about, this project.